Hi everyone, today I had a chance today to film my new craft room and so here it is! It's very much the same layout and organisation from before, but still slightly different. I have new furniture and more of it now and it's a little more spread out than before. In the end of the video I slightly show my study, since I'm at uni this year, I needed a place to study. I've just included it at the end though, incase your not interested in seeing it, but I wanted to include it because it is apart of my room. All the supplies will either be listed or linked below and I'll include a list of shops I've mentioned in the video and also the ones where I have bought items from. These are the people mentioned in the video. Hey Eloisa.....I already left a comment on your YT video about your craft room. Eloise, it is truly GORGEOUS!!! You lucky girl! Ha, we have the same label maker too! 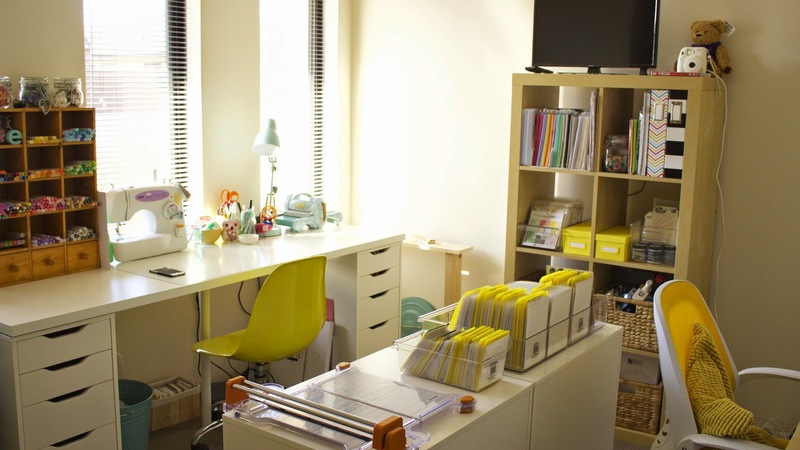 Oh, and I LOVE the yellow that you've incorporated into your craft room! I read something from you about being really nervous....well Eloise, trust me, it is 'all in your head'. Your tutorials are awesome, your Copic coloring skills are awesome, your cards are awesome, and YOU are awesome! Thanks Eloise for all your contributions to this wonderful paper crafting community of ours....I'm learning a ton from you, and am so GRATEFUL!